This past spring, Foundation President Michael Ingram, Fireworks Over America, Foundation Advocate Inez Tenenbaum, and Executive Director Julie Heckman, met with the acting Chair of the CPSC Anne Marie Buerkle and other Commissioners to brief them on the Foundation's safety and education efforts. Chairman Buerkle and her staff were impressed with the educational resources and indicated a willingness to incorporate Foundation produced materials in the agency's 4th of July messaging. We are pleased that the agency, embraced the #CelebrateSafely hashtag for its social media campaigns - replacing the previous tag of #FireworksHurt. Foundation safety video vingnettes featuring Professor Sparkz were also highlighted in agency social media platforms. Earlier this year, the Foundation joined forces with health educators around the country by becoming an affiliate member of The Society for Public Health Education (SOPHE), a nonprofit, international professional association with a diverse membership of health education professionals and students. 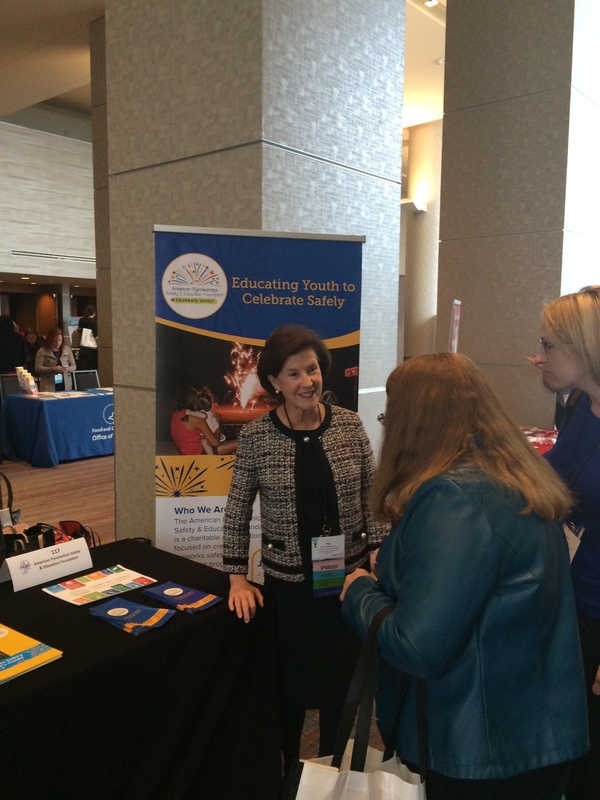 In late March, Foundation advocate and former CPSC Chair Inez Tenenbaum and Executive Director Julie Heckman exhibited at the SOPHE Annual Meeting in Denver. Additionally, they conducted a briefing session for public health educators on the Foundation's educational efforts to promote fireworks safety. 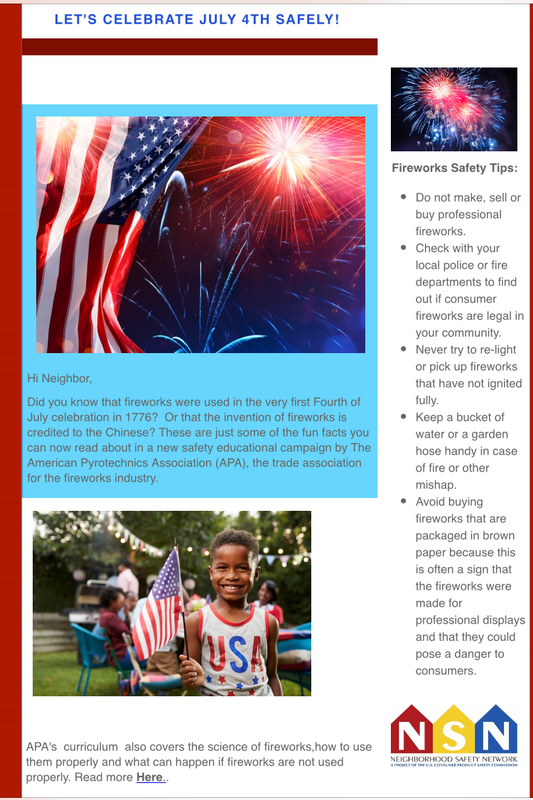 There was great interest amongst the SOPHE membership and the organization dubbed June as "Fireworks Safety" month, featuring Foundation safety tips in their social media outreach. Health Association (ASHA) a national organization that works with schools and communities to support healthy students who learn and achieve in safe and healthy environments. ASHA staff was impressed with the work-to-date of the Foundation and expressed interest in the possibility of promoting Foundation fireworks safety curriculum and resources with health educators in schools across the country. The Foundation plans to participate in the ASHA annual meeting this coming October.